There is no better way to meet and enter the inland of the Lefka Ori “planet”.They are vast, huge and only by crossing them will you be able to realize their volume. 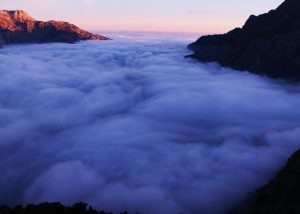 58 separate summits stand from one side to the other at an altitude of more than 2000 m and 54 more at a 1800m altitude, while on the same mountains lie more than 15 of the greatest gorges in Greece. 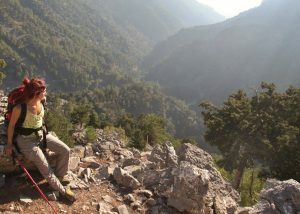 They are accessible from any direction, depending on the season , staying overnight in the heart of the mountain at the hiking refuges of the hiking club of Hania , which are four and on every side of the Lefka Ori. 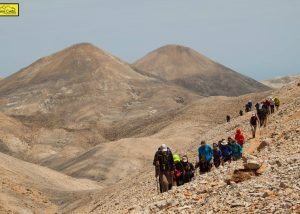 A climb to the highest summit of the Lefka Ori, Pachnes, at 2454 m. is imperative, gazing at the same time not only at a sea of mountains but also at the Lybian Sea in the South and the Cretan Sea in the North… What follows is equally enjoyable with many choices. 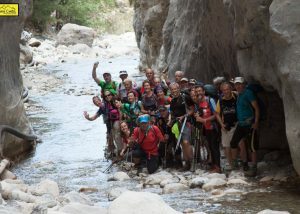 The crossing can end East at the village Askifou, North at Cambus, Kerameia , West at Omalos Plateau , admiring the famous Samaria Gorge from above. Moreover, there is the surprise option to end the crossing South with a tour of the villages of Crete and a dive in the deep blue waters of the south coast. 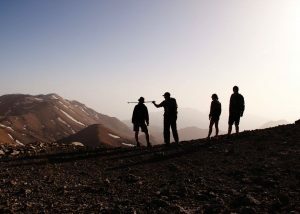 The suggested route is from Omalos to Anopoli with 8 hours of hiking daily and a sleepover at the refuge of Svourihti. 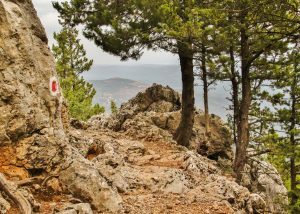 Features of the route: Alpine terrain with gently sloping uphill without great difficulty. 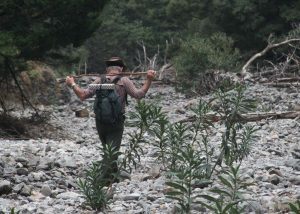 Necessary equipment: Climbers baht, 4 lt of water, hat, food, thick jacket, sleepover equipment.